← Time For Another Giveaway! Just checking in to see how the book is coming along?? Hi JR! I think of you the most when I dream of getting this book out! I wish I could tell you it was coming out soon, but I haven’t been getting lots of writing time with all the snow days the kids have been having and the house construction is having major problems right now. I’ve been working on the renovations every weekend to cut costs. I still write everyday and it is already longer than Infinite Loss! The good news is that most of the research is complete and I’m about 2/3s of the way through the fourth book now (but I still need to do a few revisions of the last life before I send it off the editors). But I already have the amazing cover made—can’t wait to share it! I would love to add you to my ARC lists though, because you have been so patient and I think you will give me valuable feedback if you’re interested. All I ask for in return is an honest review up before the book comes out (and you’ll be able to read it first!) Please email me (lewaters777atyahoo.com) if you’d like to be added. Thanks so much for your support! You have one of the houses I have dreamt of since I was a child. The other being a cottage by the sea. I love the ocean. I also live in New Jersey. I was just checking in to see how you are and the book too. Lol. I can’t wait to get my greedy paws on it. I am thinking a beach vacation is in order when I get it, even if it’s just in Atlantic city. So far I have read all three books three times and have a need to reread again. Your words touch me and soothe my weary soul like a balm. Can’t wait for infinite faith. 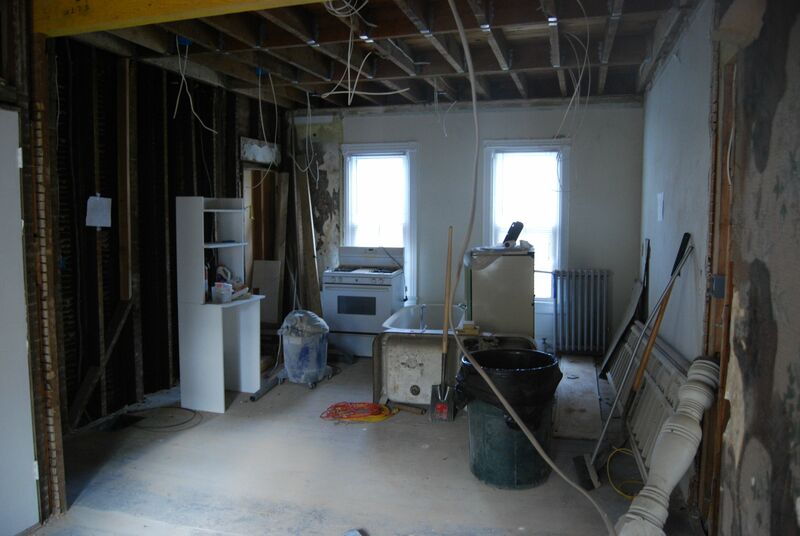 Be well and take all renovations in stride. One day we will read a book from you that was written on the front porch of your wonderful new home. You’ve just made me feel so much better. Your words have centered me 🙂 This beach house has been a dream of mine for so long, but I think I might have bitten off more than I could chew. I knew it needed work but I thought we could have done it later, gradually. Ha! I have been keeping a detailed journal (and pics!) of everything that’s gone wrong (and boy, has so much gone wrong). It will be a don’t-make-the-same-mistakes-as-me home renovation book and could have been a reality show with all the characters that have been involved. All good fodder for my book! It’s been two years now and we’re still finishing the interior work. We’ll start the exterior in the spring. I’m trying to do everything I can to keep costs down and I go down every weekend I can to work. With three crazy kids it’s been such a challenge, but I do think it will be worth it in the end (like so many of life’s hardest challenges are). I feel so guilty not being able to devote more time to Infinite Faith but in the wise words of Lennon “life is what happens to you when your busy making other plans”. Thank you so much for your amazing patience and kind words. I truly have the best fans ever! And once they read my renovation book (I’ve already thought of the fitting title, In Another Life: Renovating a Victorian Beach House) they’ll understand why Infinite Faith has taken me so long! Hello there, I’ve never wrote to an author before so please excuse the bad grammar or typos but I just wanted to drop you a few lines to tell you how wonderful you’re infinite series is and that I’m an avid reader and read tons of books but rarely but the second books of series but I couldn’t help myself when I finished your first one, I headed straight for Barnes and nobles and bought the next two in the series and finished them all within a week! I’m hooked on the beautiful story telling you’ve done. Its truly magnificent how you bring all the characters to life. I’m so excited to continue reading on in this souls journey. So keep the great work coming as I’ll be right there waiting to read the next one…….. And as we say way down here in the south…. Bless your heart! !